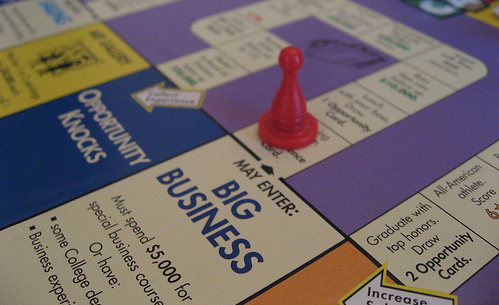 There is a well known saying, “business is a game”. There is tremendous amount of truth in that statement. Great leadership can be learned in just a few hours playing Monopoly with a group of friends. Strategy, negotiation, adapting to new information are not just helpful in the Game of Life, but in life. Forbes | 3 Juicy Leadership Lessons From… Boardgames? Don’t forget to register for our complimentary CareerClass webinar! P.S. Do you need a comprehensive assessment of your current role in government? The Career Identity Program for Government Employees is a 1-1 coaching program to help accelerate your career. Click here to get started. P.P.S. Did you know over 80% of positions are found through networking? Increase your chances of connecting with other professionals by joining my LinkedIn network. You can expand your network by up to 7000+ professionals! Click here & enclose my emailalan@careerjoy.com.